Welcome to free Data Recovering Service. Hi Friends, how are you today? Hope you are well. Welcome to my free Data Recovering tutorial section. Today I shall discuss free Data Recovering Service system of the Memory card and pen drive. I will request to all the readers of my website, please try to follow every step of all the tutorial to get better results. How to Recover data from memory card and pen drive? How to Nokia memory card password remover? 4 easiest way to recover data from micro sd card and pen drive. Step 1: Download this software from this link. Step 2: Now install your PC. Step 3: Then you will get an icon on your desktop. Open by Dubble click on it. Step 4: Now insert your pen drive or memory card. Click next and select Drive Letter. Step 5: Now select what you want to recover as video, audio, picture from Camera Brand and File Type. Step 6: Now select a destination folder where you want to keep your pen drive or memory cards recovery file and click next button. Step 7: Now select how many spaces do you want to recover then click ok and next. click next after finishing the scan. Step 8: Now go to that folder where you selected to keep your recovery files & folder. Here you will find all data what you have lost. How to Recover MICRO SD Memory Card Password? Step -2. then Insert your memory card into your phone, without accessing it through the phone. Step -6. Your password will be located within that file. If you follow this process, I think you will be able to recover your password from memory card. Step - 2. Now open the X-Plore and press Zero(0) then check you have marked the "Show the System Files". Step - 4. If you found the above path then press the option "3" to set the Hex-Viewer. Now see the characters between '?' because it is your password 33333.
if you don't set the password for the memory card. Dear visitors, If you fill any kind of problems to Recover data from memory card and Pendrive, please write to me by comments, I shall try to help you as soon as possible to Recover data from memory card and Pendrive. How to Unlock Nokia Security Code? What is reset / Password? Thanks for this great article. 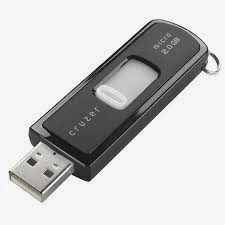 All the ways you have said about - recover data from memory card, are very effective. so thanks for this tutorial. This tutorial is hundred percent working for recover data from memory card. How to Recover data from memory card and pendrive? or, How to Nokia memory card password remover? Would I really do it again…No! The Reason Why? Thanks you very much for your great works. Please share this on social media like facebook. Thanks you very much for your valuable on my post Recover data from memory card and pendrive here. Thanks you very much for your valuable on my post Recover data from memory card and pendrive .